SAINT AUGUSTINE | PONTE VEDRA on Florida's Historic Coast The Nation's oldest city (est. You'll explore the less-touristy side of things at Dolphin & Whale Watching and Jacksonville Beach. 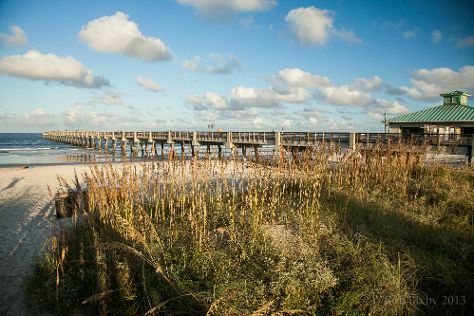 Take a break from the city and head to Vilano Beach and Butterfly Rainforest. Get out of town with these interesting St. Augustine side-trips: Ormond Beach (Ocean Art Gallery, Andy Romano Beachfront Park, & more), TPC at Sawgrass Stadium Course (in Ponte Vedra Beach) and Daytona Beach (Angell & Phelps Chocolate Factory & Daytona Beach Racing & Card Club). There's lots more to do: kick back and relax at Lighthouse Point Park, immerse yourself in nature at Washington Oaks Gardens State Park, contemplate in the serene atmosphere at Mission of Nombre de Dios, and learn more about the world around you at Florida Museum of Natural History. To see ratings, reviews, photos, and tourist information, refer to the St. Augustine trip builder site . In May, daily temperatures in St. Augustine can reach 83°F, while at night they dip to 67°F. Cap off your sightseeing on the 30th (Thu) early enough to travel back home.